Hello again! With family in town for the past week and a few weekend adventures in the weeks before that, this post is a little overdue. While this salad may sound like a summertime dish, it’s delightful any time of year as an easy side. I like to make enough for a week and toss some shredded chicken in for quick workday lunches. 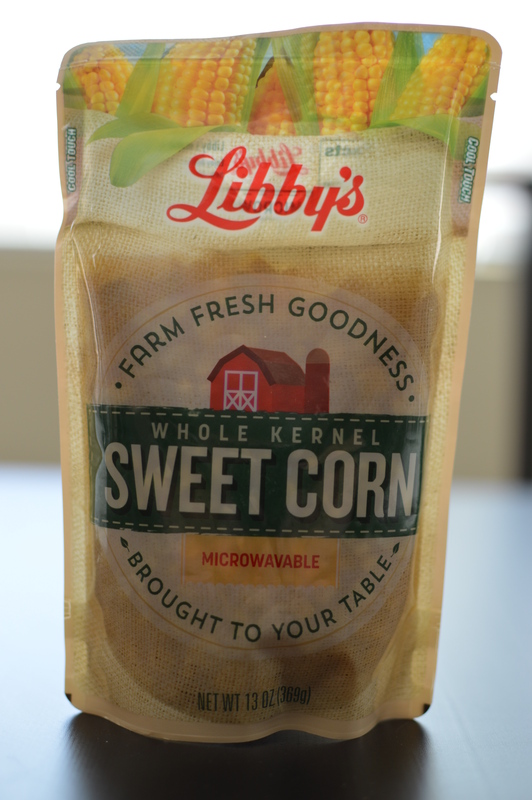 Libby’s sent me samples of conveniently packaged bags of sweet peas, green beans, and whole kernel corn to play with! I was going to enter a recipe contest with my free samples, but my internet connection wasn’t allowing me to post that week. Bummer. Thanks anyway, Libby’s! I’m sure they got lots of great contest entries. 1. Whisk together all salad dressing ingredients, or shake together in a small tupperware container. 2. Combine all vegetables in a mixing bowl. Pour the dressing over the vegetables and gently fold together using a rubber spatula. Serve chilled or room temperature. Store covered and refrigerated for up to 7 days. I love colorful salads, don’t you? 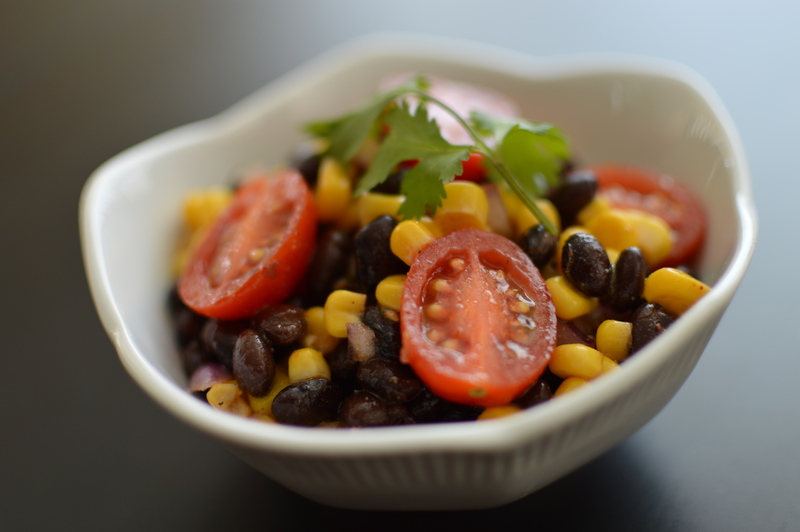 This one is flavorful and easy to assemble. It tastes even better the next day! 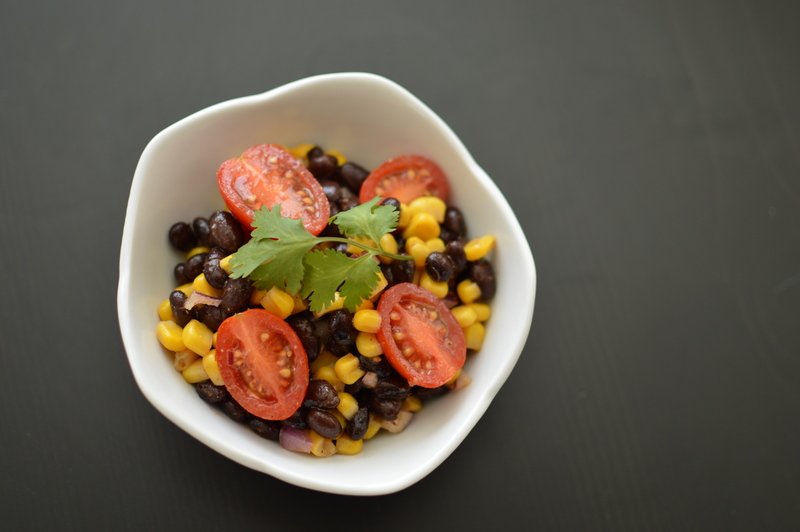 If you want to make it EVEN easier, try using salsa as the dressing instead of making your own vinaigrette.